Efforts to avoid a "hard border" in Ireland can seem baffling but as British Prime Minister Theresa May battles parliament over Brexit, the issue is central to understanding how her demands to the European Union may change. Efforts to avoid a "hard border" in Ireland can seem baffling but as British Prime Minister Theresa May battles parliament over Brexit, the issue is central to understanding how her demands to the European Union may change. London questions the need for any border between the Irish Republic and the British province but EU negotiators fear Britain could exploit a backdoor into its single market for goods while getting rid of EU rules and customs regulations. Some solution must be signed in a Withdrawal Treaty before Brexit on March 29 but it need only be a "backstop", never to go into effect. The draft treaty foresees a status quo transition to December 31, 2020, while the two sides negotiate new trade terms that Britain says will be so "frictionless" between the entire United Kingdom and EU that the Irish border will remain invisible. In practice, a deal on a backstop is needed by about October to complete treaty ratification by March, although there could be slippage and even possibly a few months' delay to Brexit. The EU offers to keep Northern Ireland in its economic zone by keeping EU customs terms and "regulatory alignment", ie EU single market regulations on how its goods are produced. May rejects that as it means new sea and air frontiers between Northern Ireland and the British mainland. The EU says that is a reasonably small price to pay for no hard land border. The pro-British Democratic Unionist Party in Northern Ireland, on which May depends to win parliamentary votes, accuses the EU of working with Dublin to "annex" the province. May proposed last week keeping the United Kingdom as a whole in a customs union until a trade pact is agreed that will both keep all of the United Kingdom out of the customs union and single market, and avoid a hard border in Ireland. Pressed by pro-Brexit allies, she said she expects such a solution by the end of 2021. The EU rejects any backstop expiry as it doubts Britain can design a way to keep Northern Ireland out of EU rules and still have no border. It notes May's backstop does not mention "regulatory alignment" and so would create a hard border anyway. EU officials see the possibly of extending regulatory alignment to the mainland as a loophole into the single market. Britain would rather have to sign up to full single market membership. Trying to avoid isolating Northern Ireland is pulling May toward solutions that keep the United Kingdom as a whole tied to EU rules. That enrages supporters who, unlike her, wanted Brexit. Some complain the Irish tail is wagging the British dog. But it has bolstered others pressing May into negotiating a "soft Brexit", staying in the EU economic area as a non-voting associate. 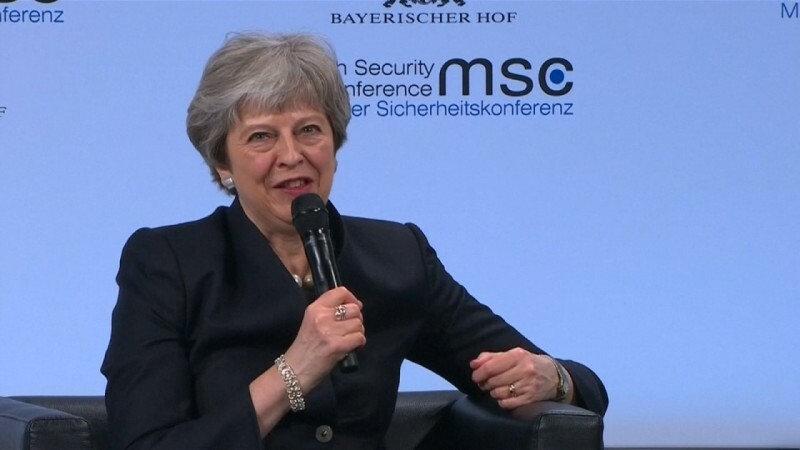 Amid talk of walking out with no deal into "hard Brexit", new elections or even a second referendum to stop Brexit, May's battles in parliament, further talks in Brussels and then an EU summit on June 28-29 may illuminate the way forward. Maybe.